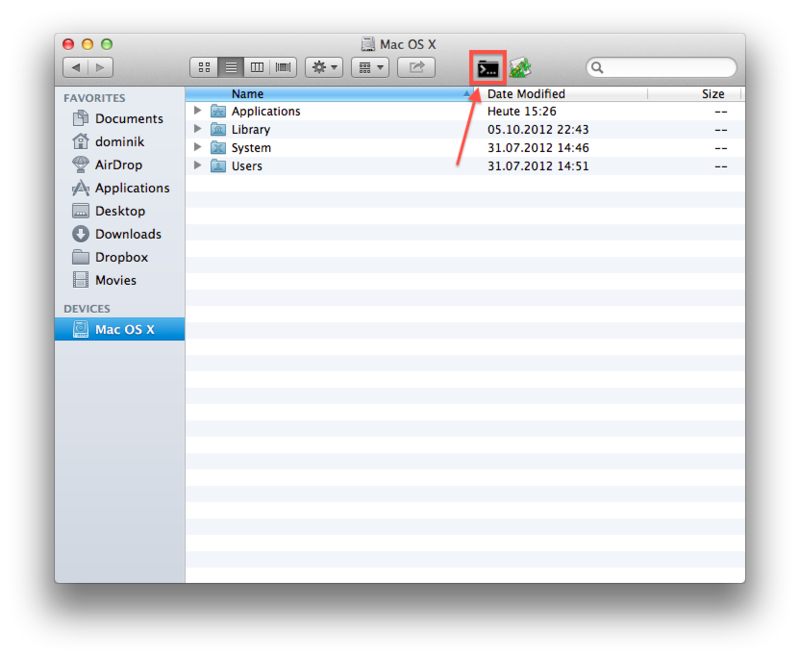 A very useful addon for Finder on Mac OS X is the cdto application. It's a very basic gadget which helps you open a terminal in the current opened folder. When I am navigating through my filesystem for example browsing a folder of sourcecode or reviewing an extracted tarball you want to have a terminal with an shell opened at the current destination. This little tool helps you to do this. It supports iTerm2 and the default Terminal of course. Download it here.